The Yosemite Riverside Inn is located just outside Yosemite National Park making us your perfect Yosemite National Park lodging choice. There are so many things to do in Yosemite National Park. The park offers some of the greatest outdoor activities you will ever experience including hiking, fishing, biking, horseback riding, and swimming. You will never run out of things to do in Yosemite. For excellent fishing, Yosemite is the place to go. The huge Tuolumne River runs through Yosemite Park providing more than 1700 combined miles of streams. 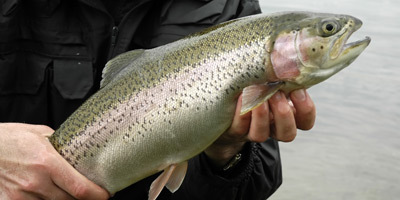 Some recommended and successful fishing spots are anywhere with lower elevations: the Merced River, and the Tuolumne River right above Hetchy Hetchy. If you feel like you’re running out of things to do in Yosemite, your Yosemite National Park lodging has a small, stocked stream of it’s own that flows right through the property where you can swim and fish after a day in the park. Read the Fishing Regulations in Yosemite Park and yes, you do need a California state fishing license. Hiking in Yosemite National Park offers some of the most beautiful views in the United States and is the most popular outdoor activity in the park. Hiking past incomparable meadows, large and small waterfalls, trees more than 300 feet tall, mountains, and more than a hundred lakes provides an unforgettable experience. View a list of the hiking trails throughout the park. This provides a great and quick way to see everything in Yosemite. 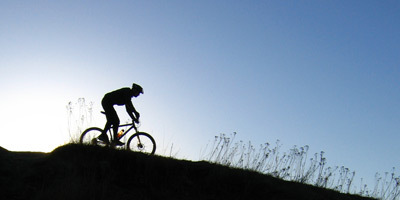 Biking is only allowed on paved trails or on the road, and off-roading and mountain biking are not permitted. Mule or Horseback Riding in Yosemite Park allows you to experience breathtaking views while having fun riding. Rent a horse at the local stable, Mather Corral, just 12 miles from the hotel. Three stables are available throughout the park to rent your horse or mule – Tuolumne Stable, Yosemite Valley Stable, and Wawona Stable all with the exact same rates. Two-hour rides are $60, half-day rides are $80, and full-day rides are $119. Tuolumne Stable 2-Hour Ride – a good overview of Yosemite’s High County that stops at Tuolumne view where you can see beautiful views of Cathedral Range, Johnson Peak and Mammoth Peaks. Half-day Ride – visits Twin Bridges on the Tuolumne River just above Tuolumne Falls with spectacular views the whole ride. Yosemite Valley Stable 2-Hour Ride – trail ride to Mirror Lake that is great for beginners. Wawona Stable 2-Hour Ride – rather easy trail ride that follows the Historic Wagon Trails around the beautiful Wawona Meadows. No matter what activity you are planning to do in the park, bring clothes that can get wet and a change of clothes with you. With so many waterfalls, small swimming holes are often available to take a dip in, and on a hot day you will be very tempted to jump in. 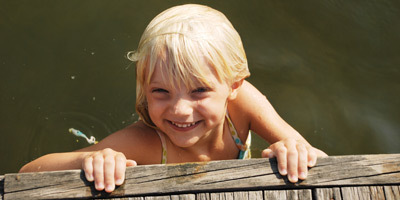 The most popular large swimming areas are on the Merced River, where there are sandy beaches and great swimming areas, and the Tuolumne Meadows and Yosemite’s High Sierra Camp areas with more secluded lakes. Also enjoy the stream right behind the hotel for swimming and Rainbow Pool just down the road. A great family vacation awaits you and with so many things to do in Yosemite, your family will never get bored. Yosemite Riverside Inn will accommodate your stay with a comfortable room, cabin, or suite after a long day at the park. RESERVE YOUR STAY WITH US!